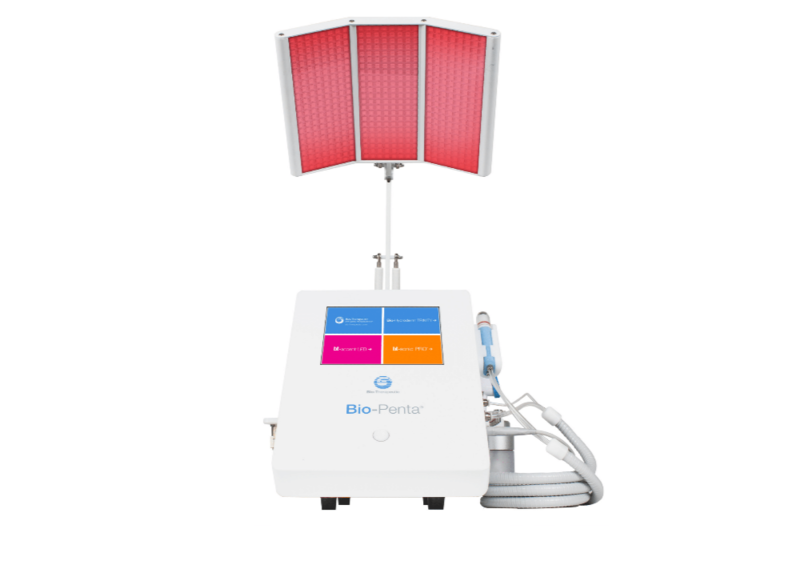 Bio-Penta is the latest technology developed by Bio-Therapeutic where they have taken five of its incredible technologies and combined into one forward-thinking unit, the Bio-Penta. Bio-Penta is both practical and progressive. 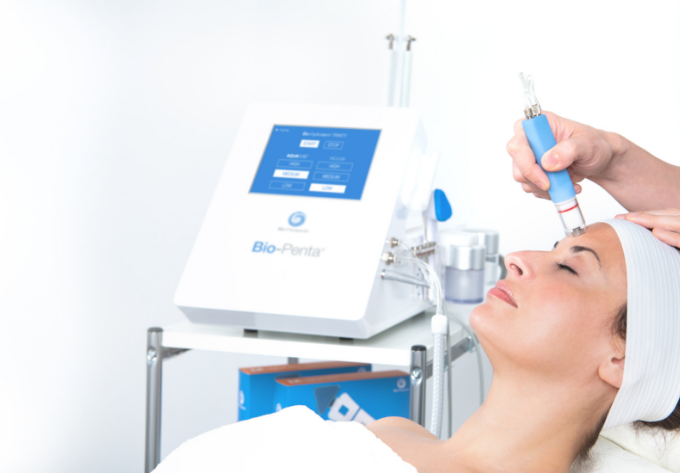 Each of the Bio-Penta technologies can be used on their own for remarkable results, or together creating the Bio-Therapeutic Ultimate Layered Facial for extraordinary results! 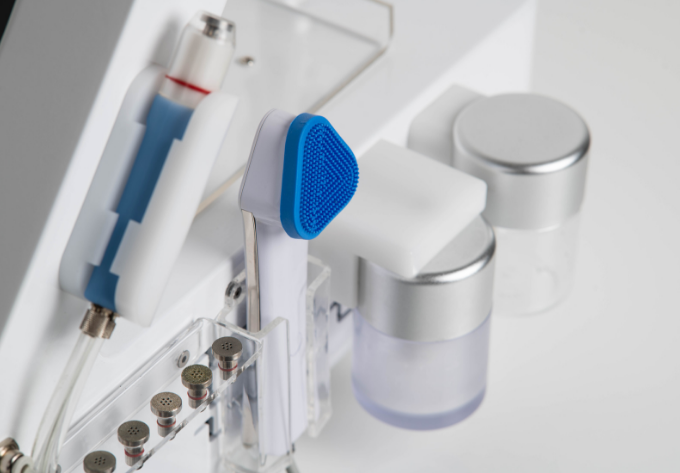 Sleek, modern design, touch screen controls, compact size, and agility make Bio-Penta a must have for every forward-thinking skin therapist. The Bio-Hydroderm Trinity™ is a sophisticated hydrodermabrasion device that delivers controlled exfoliation, hydrating product infusion and treatments that are not only efficacious but comfortable and relaxing for clients. Bio-Hydroderm Trinity™ gently lifts the skin and brings it in contact with the diamond-encrusted abrasive disc to exfoliate and buff away dead skin cells. 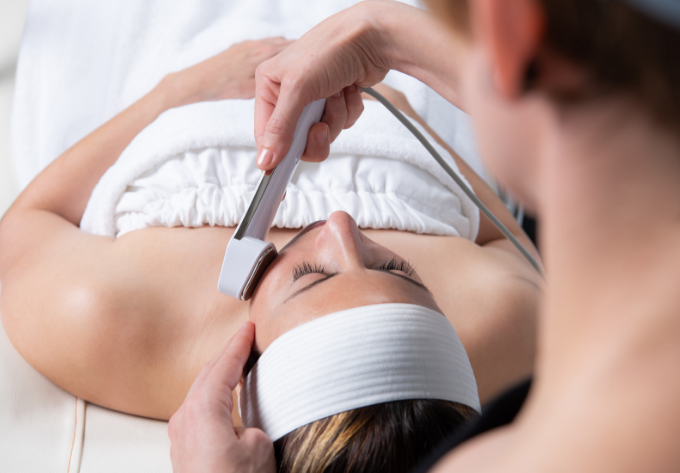 During this process, the handpiece simultaneously emits a cooling, calming and hydrating AQUAFUSE solution designed to treat some of the most common skin concerns. 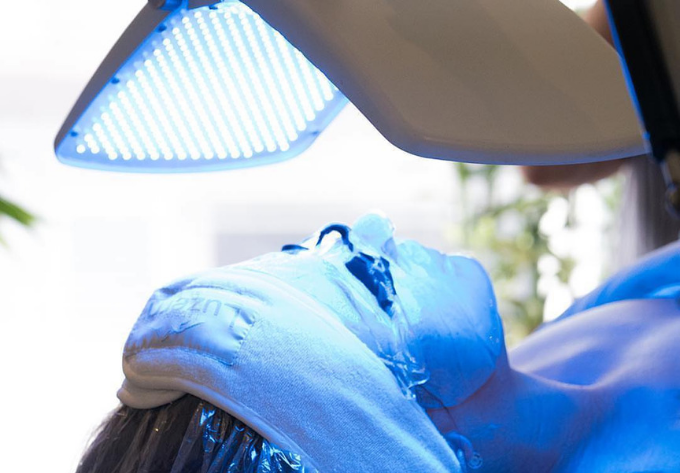 Deliver a range of high-tech light activated facials using LED (light emitting diode) principles to correct, brighten, rejuvenate and clarify skin from a cellular level with 3 therapeutic light colours: Red, Blue, and Combination. bt-Sonic PRO is water resistant and engineered for everyday use. Its small ergonomic shape is comfortable in the hand, while its triangular cleansing head is thorough and gentle on skin. The antimicrobial and antibacterial Azul silver infused silicone bristles, cleanse areas that other brushes can’t reach. Low levels of microcurrent allows for iontophoresis, which ionizes product molecules and uses the force of the current as a vehicle for the product to absorb. Adding a third technology, microsonic, makes for an amazing trio in the bt-sonic PRO, that creates even and efficient product absorption. The combination boasts as much as 80% more effective product absorption than manually applying product by hand. The Global Beauty Group not only believe in providing you with excellent devices and outstanding training programs, but we also believe in helping you to market your new services to your existing and new clients. With this in mind, we have created an informative customer brochure and advertising poster for you to use to help promote your business. Here are some of the examples of the marketing materials that you will receive with your purchase. Experience our gold standard customer service and industry-leading equipment range to discover for yourself why The Global Beauty Group is consistently Australia’s leading aesthetic equipment and skincare supplier. We guarantee to beat any genuine competitor’s quote on our full range of products, so why not talk to one of our friendly consultants today to find out more?